TV personality Ebuka Obi-Uchendu has revealed how he met his wife Cynthia Obianodo. The couple who got engaged in April and had their traditional wedding in October has been the talk of town since their relationship came to the open. Cynthia is the daughter of Chief Vincent Obianodo, the transport business mogul and Young Shall Grow Motors boss. Speaking in a recent interview, Ebuka explained why he kept their relationship under wrap, how he met Cynthia and why he is marrying a non-celebrity. 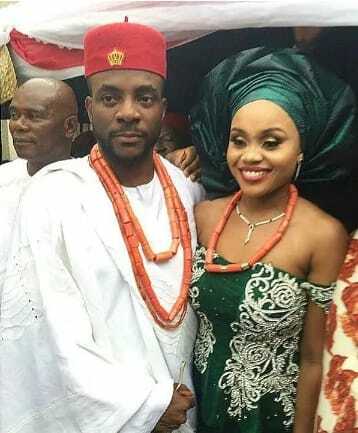 Ebuka and Cynthia met through Cynthia’s brother who doubles as Ebuka’s friend. There white wedding is just weeks away.